Hawaii owners rent their own special condos and houses to travelers like you through a management company like Lei Hawaii Realty . When you hear a word "Vacation Rentals", you may worry about the quality. We have already so many reviews from the guest saying how the trip and space were the best. Hawaii is the best place to find the best "Vacation Rentals" in the world. Various vacation rental properties with special interior in front of ocean and mountains. You have so many different ways to enjoy inside and outside the room. Definitely they are different from just same hotel units. Vacation rentals make your time in Hawaii more enjoyable. Find the reasons why our guests chose our vacation rentals! 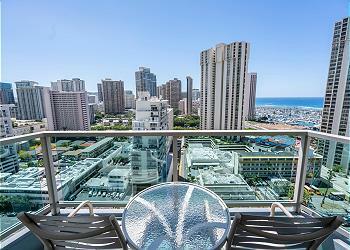 When staying at a hotel in Waikiki, have you ever felt that "the room is too small but too expensive?" Vacation rentals are very cheap compared to the hotel. If you compare the same size unit with our vacation rentals, ours might be 2 times lower than hotels even in almost the same location. The hotels have the excellent service, but it will be charged to the guests accordingly. On the other hand, our vacation rentals do not take such service fees like the 24 hours concierge, every days cleaning, and linen changes and so on. We only provide the cleaning before checking and wifi service plus emergency services. In our vacation rentals, the number of sleeps increases, the cost per person will be dramatically low. Although we have limited numbers of sleeps per unit and sometimes the rate will increase, but still very LOW!! Vacation rentals done by major travel companies are expensive as their fees are added to the units, but Lei Hawaii directly manages and cleans up our own rooms and the rate is cheaper than any places. (2) Cook, Eat, and Enjoy! Unlike the hotel, most of our vacation rentals have the kitchen! There are also the cookware and dishes, so you can stay as if you are in your home. Organic foods are can be found like Whole Foods. Cook yourself and keep the healthy life even in Hawaii. Enjoy BBQ with your friends in the condo amenity deck. If you save the money, spend it in the special restaurants. Use Uber Eat or Bite and enjoy foods in the popular restaurants in your vacation rentals! Some hotel has no laundry. They might only provide the dry cleaning. Some of our vacation rentals, washers and dryers are inside the units. At least, there is the landry in the condo. Spend less money and stay long. It costs if you stay in a hotel and park your car. It costs around $30. Sometimes 100 dollar just for 3 nights.... If you try to find the free street parking, it takes too much time to find one parking spot. Sometimes you have to move your car cause there is the limited time for the street parking. Meanwhile, some of our vacation rentals has the free parking. That makes your stay big difference. You may spend more money into the foods and entertainment. Please search by your schedule, room type, number of people and so on in our site. Check the pics and reviews, too. If you stay in a hotel, you cannot choose the exact unit, but you can choose your own room in our vacation rentals! Pick up the unit you think the best for the next trip. Make a reservation through our website. There is a quick automatic quote before you make a reservation. So, check the price and also check the terms and conditions. There is also our cancel policy. Check these and compare the prices with other hotel and vacation rentals. The key is located at the designated place in the condo. Or pick up keys in our office. Those who have never used vacation rentals may worry about check-in and check-out. But once you experience, it would be very easy. Experience how easy it is. Just enjoy your stay in our vacation rentals. Feel Aloha in each units. If you have any questions during your stay, please contact by phone or email. Unlike hotel, the concierge service, daily cleaning, and etc are not included in our service. However, if you want to stay as if you live in your home, you can enjoy our vacation rentals. 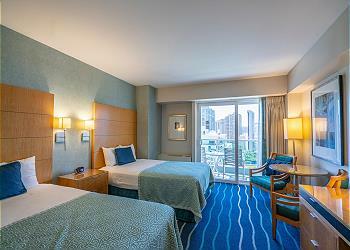 Our rooms are synchronized with the mother nature of Hawaii. 100% Konna drip coffee (4 serves) comes with each room. Enjoy coffee in your room or balcony. JCheck out is very simple. Just lock the room and return the key to the designated place. Check out time is 11 am. Do not leave any stuffs, keys and memories inside the unit. Come back to our vacation rentals. Stay at Lei Hawaii again. This site guarantees the Best Rate! ·Vacation rentals is not a tour, so you must come to our vacation rentals by yourself, check in and sometimes register you to the condo. · There is no daily room cleaning like the hotel. Please clean the room by yourself. · There are the fixed number of amenity in each room when you check in. We will not provide the extra amenities (like toilet papers, shampoos and so on). Service other than the emergency issues might cost the additional fee. · In addition to the accommodation fee, the deposit, cleaning, credit card fee and insurance (if you needed) fees will be charged. When making a reservation, please be sure to check the total amount and terms and conditions, and cancellation policy. · Please observe the rules in the condo and community. Vacation rentals is stay in the room and house in the community. You may stay cheap, live like your home, so do everything by yourself.